Massage Addict was started with the simple premise of making massage therapy affordable and simple. We believe everyone should have the opportunity to enjoy the benefits of massage therapy, whether it's for relaxation, stress relief or medical treatment. Massage and spa packages are also wonderful gifts to give! With our beautiful spa atmosphere and easy to schedule appointments, Massage Addict will quickly become your first choice for massage services. Not Yet Enjoyed the Benefits of Massage? We would love to be your first massage experience. We know you'll love our services and we'll keep you coming back for more. There is a Massage Addict in each of us—there is a Massage Addict in you! Are you interested in learning more about the doctor behind the injury rehabilitation and massage magic? Learn more here! 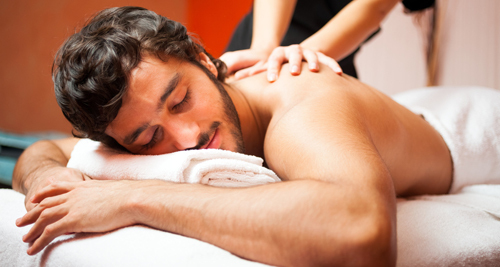 Want to learn more about the benefits of massage? Contact Massage Addict today to get more information or schedule an appointment.